Over the past few years, Iman Issa’s work has explored the contemporary relevance of objects, ideas and modes of communication that seemingly belong to another time. Her precise compositional language — marked by familiar geometric shapes, clean lines and adaptions of museological display — mine the latent meaning and transformational potential in aesthetic forms. Her work has been the subject of solo exhibitions at 21er Haus, Vienna (2015); Museu d’Art Contemporani de Barcelona (2015); Glasgow Sculpture Studios (2015); Pérez Art Museum, Miami (2015); Kunsthal Charlottenborg, Copenhagen (2013); Tensta Konsthall, Stockholm (2013) and Mercer Union, Toronto (2012). Her work has also been shown in group exhibitions at Sharjah Biennial 13 (2017); Museum of Modern Art, New York (2017); WUK, Vienna (2015); Sharjah Biennial 12 (2015); Berlin Biennale (2014); M HKA, Antwerp, Belgium (2014); New Museum, New York (2012); KW Institute of Contemporary Art, Berlin (2011); Sculpture Center, New York (2011) and Contemporary Image Collective, Cairo (2011), among others. She was a speaker at Sharjah Art Foundation March Meeting 2014, and her work is part of the Sharjah Art Foundation collection. Issa's publications include Common Elements (Glasgow Sculpture Studios, 2015) and Thirty-three Stories about Reasonable Characters in Familiar Places (SculptureCenter, 2011). Issa was named a 2017 DAAD Artist in Residence and has received the Vilcek Prize for Creative Promise (2017), Louis Comfort Tiffany Foundation Award (2015), Abraaj Group Art Prize (2013) and HNF-MACBA Award (2012). She teaches at the Cooper Union School of Art, New York. Born in 1979 in Cairo, she currently lives and works between Cairo and New York. 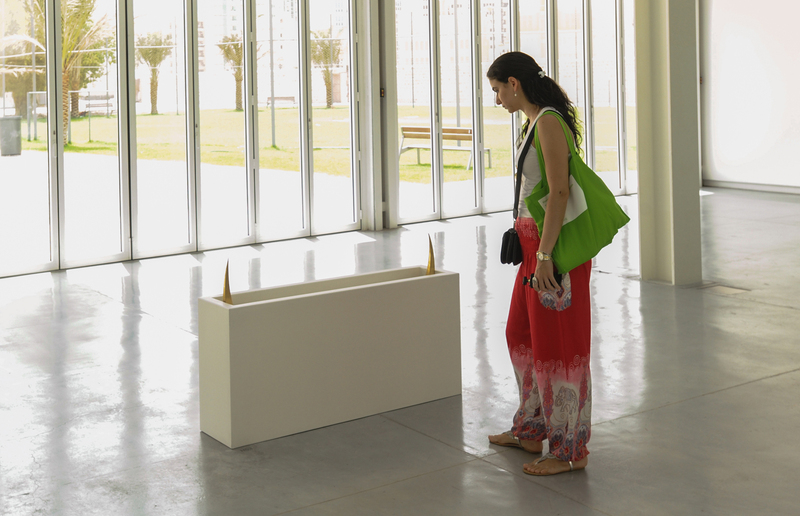 This person was part of Sharjah Biennial 9, 12 and 13 and March Meeting 2014.